Arthur Loves Plastic sounds like the hour before the Singularity; dominant machines clicking and humming in rhythm and harmony with a touch of subversive humanity. Arthur Loves Plastic is the melody of neurotransmissions firing into random access memory. Arthur Loves Plastic is for people who require a machine to buffer their contact with others. ARTHUR LOVES PLASTIC is Bev Stanton, who was born in the Bahamas and raised near Walt Disney World. She has won over a dozen Washington Area Music Awards in the Electronica category. Her music has appeared in shows on the Discovery Channel, VH1, MTV and other cable television networks. 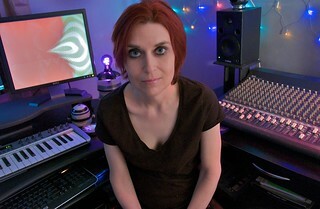 Stanton is one of 24 female electronic artists and deejays profiled in Pink Noises: Women in Electronic Music and Sound (Tara Rodgers; Duke University Press, 2010). Ever embracing new technologies, Stanton released a 30-minute download EP created with iPhone apps and made loops of her music available as themes for the Mikrosonic SPC sketchpad app for Android.